CBCrew is feeling merry and bright with their Christmas trees up and decorated. 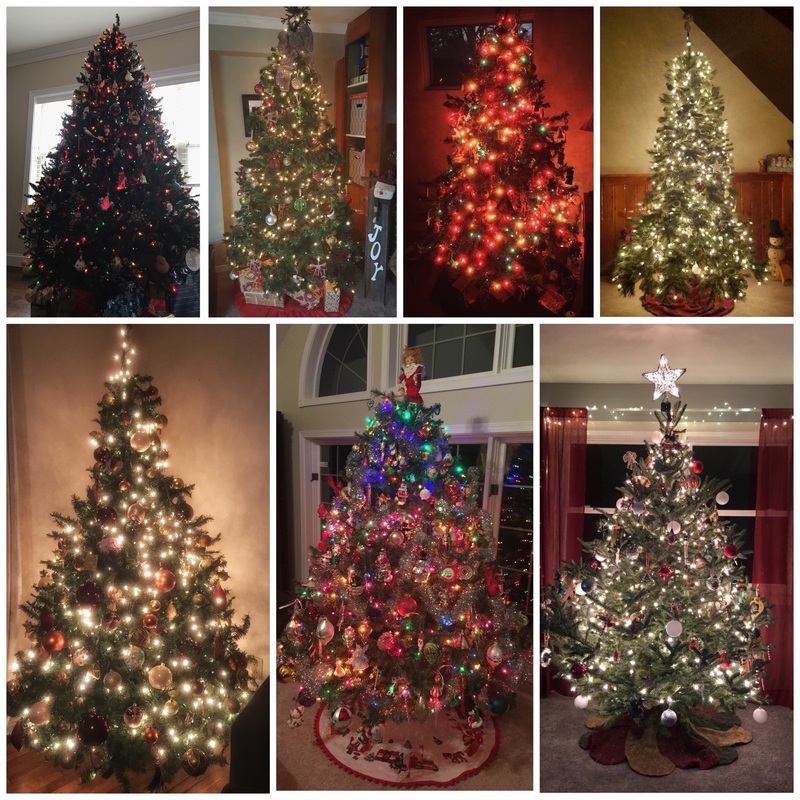 White lights and colored lights, tinsel, and ornaments adorn their trees and put our crew in the Christmas spirit. Christmas trees weren't always as we see them today. Germany is credited with having the first traditional Christmas trees like the ones in our homes today, according to the History Channel's website. Christians brought decorated trees into their homes in the 16th century. Evergreens, trees that stay green all year round, have had a special meaning since the ancient peoples. The ancient peoples would hang evergreen boughs above their doors. "Evergreen boughs reminded them of all the green plants that would grow again when the sun god was strong and summer would return," according to the History Channel website. Martin Luther, the 16th-century Protestant reformer is credited with being the first to add lights to the Christmas tree. "Walking toward his home one winter evening, composing a sermon, he was awed by the brilliance of stars twinkling among the evergreens," the website said. "To recapture the scene for his family, he erected a tree in the main room and wired its branches with lighted candles." Pennsylvania's German settlers are credited with being the first to put their Christmas trees on display. These Pennsylvania settlers also had community trees as early as 1747. Americans started putting ornaments on their trees in the 1890s. Pennsylvania is currently one of the top Christmas tree-producing states.